I love caesar salads. For most people, it is a great veggie salad when you’re at a restaurant or even a light refreshing salad at home. What most restaurants still use is traditional caesar dressing … made with anchovies. 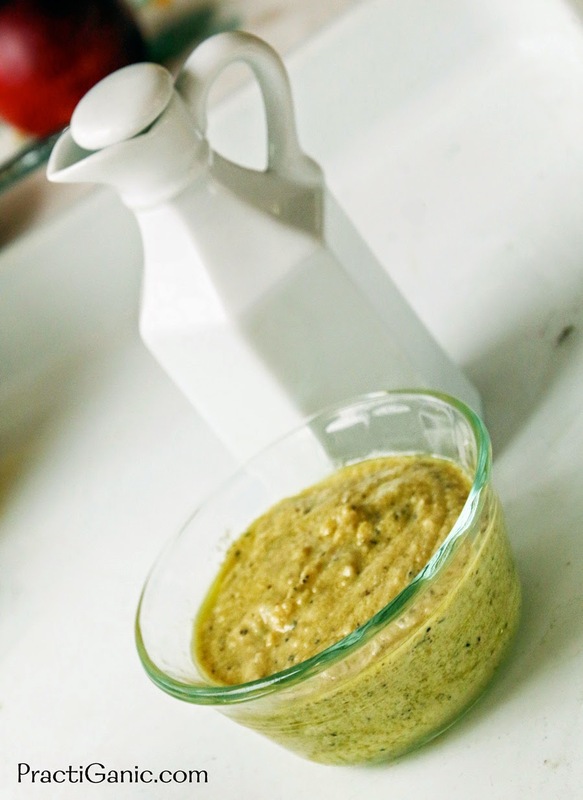 An old boss once told me that you can’t make a vegetarian caesar dressing because the anchovies give it its unique flavor. I smell a challenge! Not only do you not need the anchovies but I actually now prefer this dressing over traditional ones. So here it is, a true Vegetarian Caesar Dressing. Try it with my Pizzalad and you’ll really be hooked! Whisk all ingredients together. Add olive oil to get the consistency you want. Season with salt and pepper to your liking.